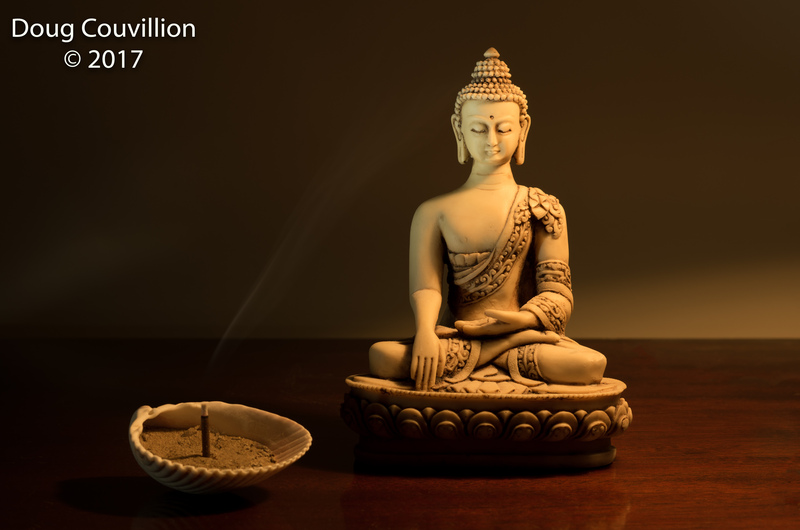 This is a lovely photo that captures something about the ‘being presentness’ of meditation – the light and the smoke floating from the incense are evocative. Exactly, we can get close to some understanding by articulating it but it is sensory, beyond words. You’re either in it or not and you cannot force it either. I love it, it is such a beautiful being-ness. I think Im’in desperate need to do that Doug. Non attachment. That’s the thing. That’s beautiful, Doug. I can relate in regards to my own spiritual practice. Beautiful image. I follow Buddhist teachings too from Zen tradition of Thich Nhat Hanh . ? Thanks Helen. Thich Nhat Hanh is simply an amazing person. I’ve read several of his books and they are inspiring to say the least. Be well. Thanks Doug. Twenty years ago TNH visited Edinburgh . I was lucky enough attend a talk he gave . Another day he led a walking meditation through the city centre and we all sat in the Peace Gardens below Edinburgh Castle where he gave more teachings. ?